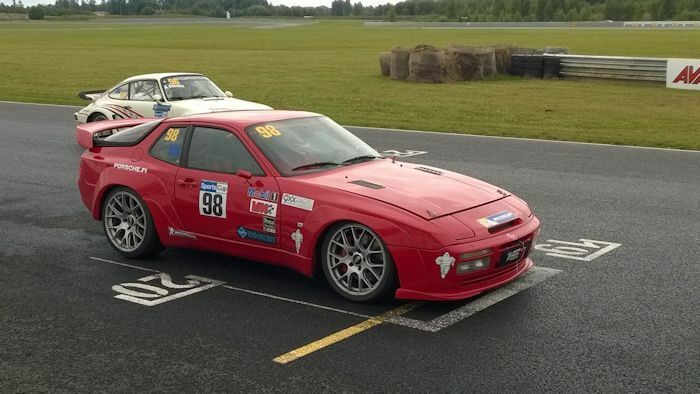 One question we get fairly often from customers who start to track their 944s is... "Where do I install a oil temperature gauge sender in my oil pan?" Until now, the answer was one they didn't want to hear. If you drill a hole in your oil pan to thread for a sending unit, you will certainly get metal shavings in the pan and that can spell disaster. Aluminum or not. The oil pan in our opinion is not thick enough to just drill and tap, and should have some additional metal in the form of a patch welded in place to the sensor location area to thicken the pan first. If the pan is off the car, then you have no worries. We have heard of people mounting the sending unit in the turbo oil drain banjo bolt, but that gives you false temperatures. Your boost level, and whether or not you're running a dry or wet turbo can swing that oil temperature coming out of the turbo. That temperature reading from the actual oil in the base of the pan is what we want to know, and the further from the turbo the better. It's like mixing hot and cold water from your faucet. You could mount it in your oil level sending unit location, on 1987 and later cars, at the sacrifice of knowing your oil level is down when driving or racing. Not the best solution, but could be worse. We have told plenty of people to drill and tap their oil drain plug for the sender. You will of course lose the magnet in the plug which keeps metal shavings collected from wearing parts such as rings from the cylinders walls and other crucial areas of the engine. The natural solution was to build an oil drain plug that incorporates both a powerful magnet and a pre-tapped 1/8" NPT (National Pipe Thread) hole for a oil temperature sending unit. This makes the task of installing the sending unit in your car as easy as it can get! NOTE: Some sending units are larger then 1/8" NPT. 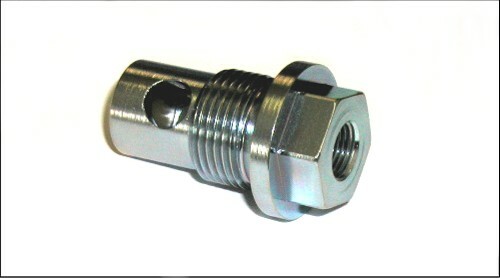 This oil drain plug only works with sending units for 1/8" NPT threaded holes. Check with your gauge supplier to make sure your getting a gauge that is compatible. Usually this means a electric versus mechanical gauge, and sometimes a half sweep versus a full sweep style. The magnet on this drain plug is a very powerful Neodymium disc measuring 1/2" in diameter. Not only is it much more powerful than the stock magnet, it has a far greater amount of surface area to collect debris. 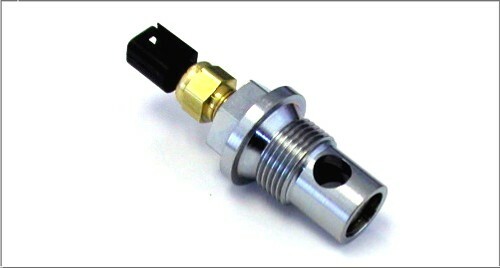 Drain Plug shown with temperature sender installed but not included. They come with the gauges sold separately. Drain Plug sealing ring and 1/8 NPT Plug included. 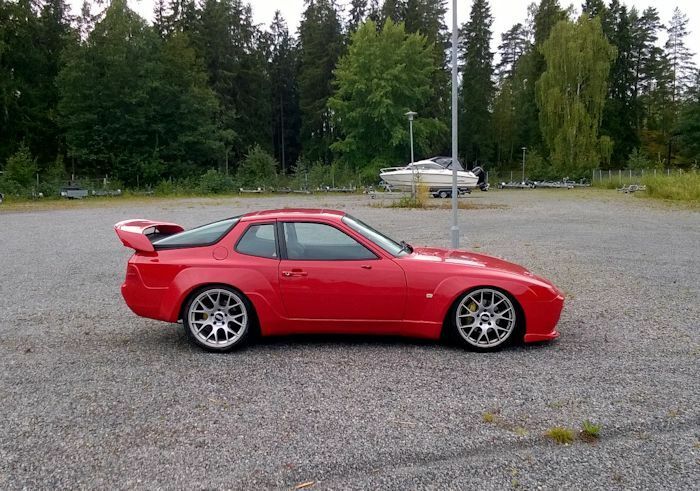 Since Porsche used the drain plug on the 944 series engines on other models and years or engines, you'll be happy to hear that if you have a 911 or 928!